Little is known of Dr. Joris Schroeder’s early life and upbringing and no details emerged after exhaustive searches on the most popular search engines. What is clear is that Dr. Joris Schroeder had a huge impact on the vertical transportation industry particularly with regard to one specific invention but we will return to that later. He also impressed Peter Boardman on the subject in terms of its relevance to the future of lift control systems. There are more details available regarding his career. He was a graduate of Stuttgart Technical University and received a Ph.D. from the Berlin Technical University. He achieved the position of Vice President of Corporate Engineering and then Vice President of Product Research with Otis in Germany and then also in New York, USA. In 1977 he left Otis and joined Schindler in Switzerland as a member of their Corporate Executive Committee and his remit included: engineering, production, construction and service. He passed away in the early 1990’s. 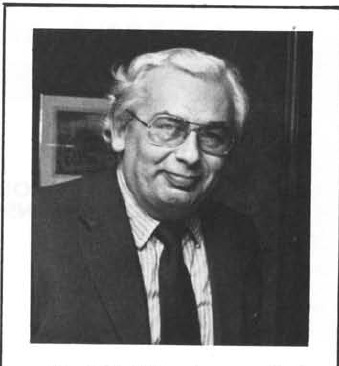 During his career Dr. Joris published a number of industry leading articles and white papers including The Energy Consumption of Elevators published in 1980. If you read the piece it’s easy to appreciate that he laid the foundation for what was to come later. In 1985 he first wrote about ‘Destination Dispatching’ in the July edition of Elevator World and he followed this up in 1990 with the publication of an article in the March 1990 issue of Elevator World entitled "Advanced Dispatching" ("the Schroeder Article"). Why is Dr. Joris Schroeder so Significant? Dr. Joris Schroeder’s contribution to the vertical transportation industry was more than theoretical, though. In 1990 he was granted a patent for the Miconic 10 along with Dr. Paul Friedli (also from Schindler). Using microprocessors Schroeder created Schindler’s Destination Dispatch system – what we now call Destination Control. The first building to install the Miconic 10 system was the Hamburg Electric Company in Germany in 1990. The first installation in the USA was in 1993 at the Ameritech building in Indianapolis. As architects, building contractors and the public came to understand these new ‘smart button-less’ elevators their popularity grew. Energy efficiency was also 30% better with the new Destination Control elevators. Schindler, under Dr. Friedli’s guidance have progressed with the development of M10, now known as their Port system which has the ability to interface with other building elements, i.e. speed-gates and door locking systems. All lift companies now have Destination Control systems so this idea can be seen as transformational. D&B have been specifying these systems enthusiastically for years and as a Consultancy can be considered to be leading the way. Dunbar and Boardman is the lift, escalator and access equipment consultancy. Are you currently planning a project that will involve Destination Control? We would be happy to discuss with you. Give us a call on T +44 (0)20 7739 5093 or send us an email via peterboardman@dunbarboardman.com to start the conversation. We look forward to hearing from you.